This post is sponsored. All opinions are my own! I'm still trucking along with my fitness this pregnancy and so far, so good. I have noticed that it is harder and feels less comfortable to walk my usual pace on the treadmill so I just take it down a notch. Instead of walking at 4.0-4.2 miles per hour at a 3 incline, I do 3.8-3.9 miles per hour at a 2 incline. This is what feels good to my body which I am making sure so listen to so I don't hurt myself or the baby. I am still doing my prenatal YouTube workouts 1-2 times a week (I love BodyFit by Amy the most) which I enjoy. After I walk about 2 miles on the treadmill, I try to take a couple of minutes to do either weights, squats or side planks. A couple of nights ago, I didn't sleep that well and had a hard time getting up when my husband's alarm clock went off. Instead of forcing myself to get up and exercise, I decided to take the whole day off and that is what worked for my body that day. Listening to what feels right is #1! 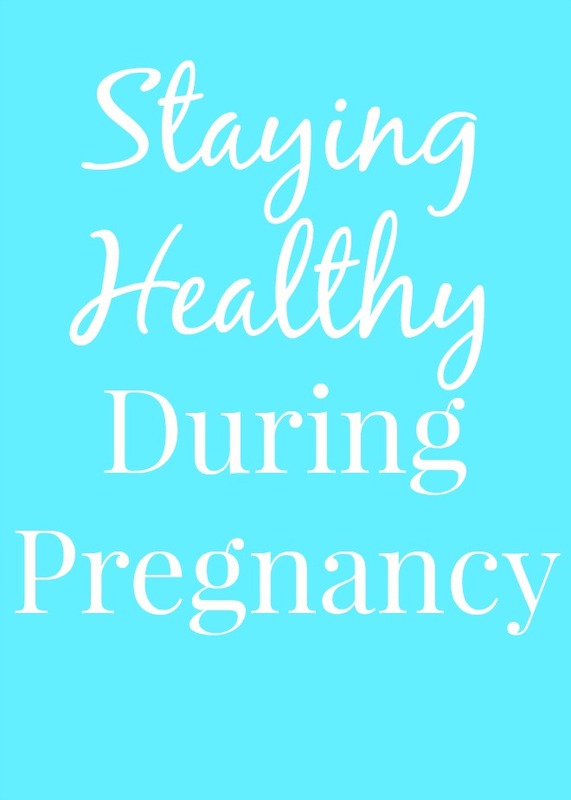 Sleep gets harder for many people including me as pregnancy progresses. I am totally a lame grandma and go to bed super early- no shame! I get up by about 5:30 AM regardless so I know that I have to go to bed early to catch enough ZZZ's to get through my day and have enough energy to take care of my daughter. As a dietitian, I know how important nutrition is during pregnancy. I am so lucky not to have any food aversions this time like I did with my daughter- I was not the biggest fan of vegetables. Luckily, this time, everything sounds good (a little too good...) and I have no problems eating healthy foods. Breakfast most days is oatmeal or Greek yogurt. Lunch and dinner vary so much but I try to get some vegetables, whole-grains and protein in each meal. I have always been a huge snacker so I snack a bunch during the day. In the morning, I often have carrot and apple slices, homemade protein breads or muffins, Greek yogurt, nuts, bars, etc. To me, making sure that I get in a variety of nutrients is so important not only for my health but also for my baby's. I feel better when I eat better and I know that a growing baby needs a variety of nutrients to grow "strong and healthy" as my daughter says the baby is growing. I ate healthy when I was pregnant with Adalyn and she is smart, very healthy and is a great eater. I don't know if that has anything to do with the way that I ate but it certainly doesn't hurt to do the same thing to have another awesome kid. I talked about listening to your body with exercise and pregnancy is such an important time to always listen to your body. A couple mornings recently, I walked on the treadmill for no more than 5 minutes and felt very faint. I immediately went to eat a bunch of food thinking that maybe it was low blood sugar. I now think that it is actually low blood pressure (upon talking to my mom who is a nurse). When I feel that way, I immediately sit down and relax until I feel better. There is no point in pushing my body until I do not feel well. Also, I have been trying to work way ahead on recipes for next year when baby comes so it is less chaotic when I am on maternity leave with two little kids. I made 26 recipes in about 2 weeks along with working full-time- I am exhausted! I would try to do 4-5 recipes a day on some of my days off work. At the end of making my recipes, I was so beat! Instead of trying to do the dishes right away from all of my recipes, I listened to my body and sat down for awhile so I did hurt myself. I am not a huge fan of a ton of supplements but there are three things that I will take: a multi-vitamin (a prenatal during pregnancy), fish oil (omega-3 fatty acids) and a probiotic. These help me to know that I am getting all of the nutrients that my body needs along with a healthy diet to grow a healthy baby. I just had a conversation with all of my co-workers about how amazing probiotics are. I was surprised to learn that a bunch of my team takes probiotics. We also order them for our residents who are on antibiotics to restore the healthy bacteria in their bodies. Gut health is considered the core of your overall health and can affect your entire body including immunity, digestion and more. 70% of the immune system is located in the intestinal tract making it even more important this time of year. The cultures in your digestive tract can be affected by many things including stress, diet, aging, medications and the environment. How to bring balance back to the digestive tract is with probiotics. Renew Life has products for kids to seniors. Enter to win a 4-month supply of Renew Life Ultimate Flora Probiotics 30 Billion (ARV $80)! We're giving away FOUR prize packs to help jump start your 2017 New Year's resolutions. Enter via the Rafflecopter widget below!